Kiba | Arctic Rescue Victoria Inc. So, we try to be a realistic bunch here at ARV. Working in rescue you have to be. But you also need to believe in the best of people and have hope that there really is someone out there willing to take on a huge job. We have found some truly amazing, compassionate, passionate people in our travels that are willing to take on the hard cases - and now we are looking for another person just like that. 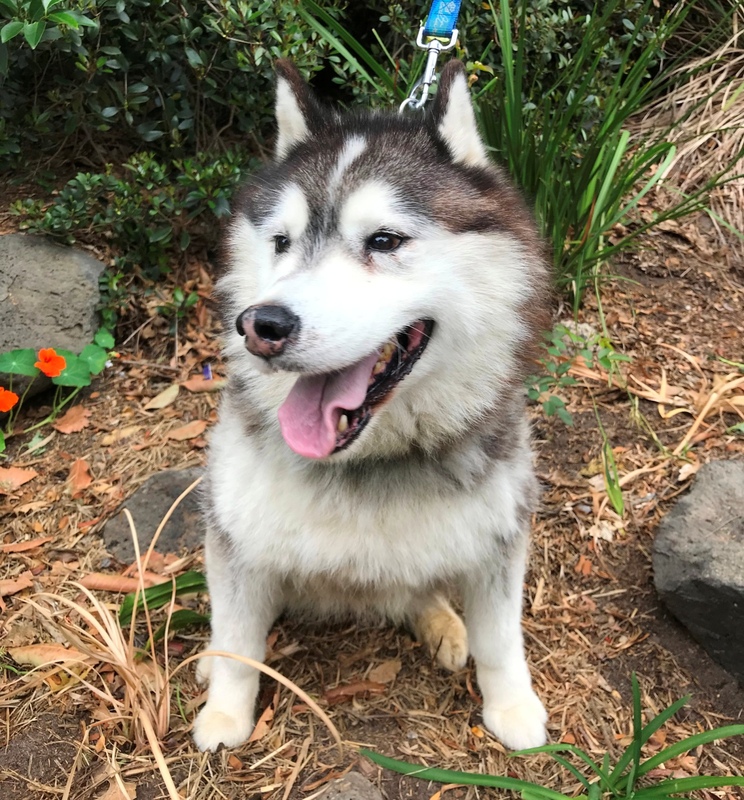 Beautiful Kiba is 8 years old. She's got the best smile and loves nothing more than to shower you with affection, especially if you win her heart with a treat. 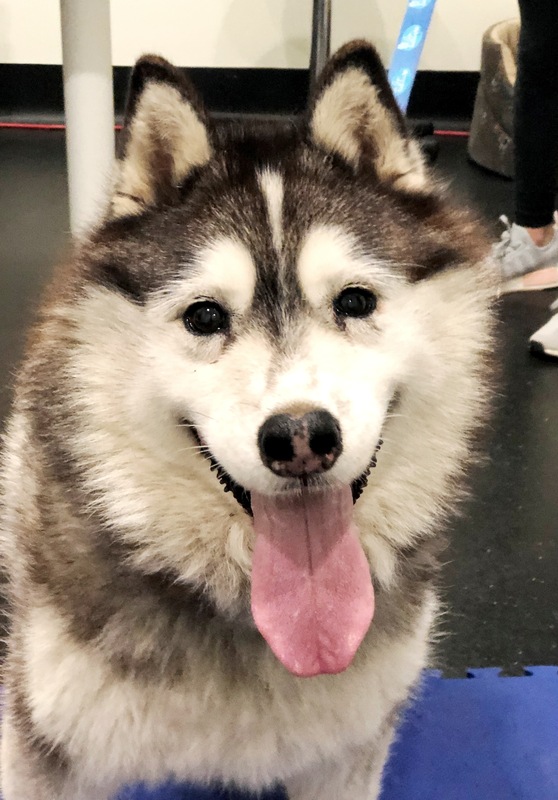 This true Husky soul has had some ACL surgery in the past which hasn't been completely successful and lead to further complications with her gait. She has some arthritis. On top of that, she has a bladder condition that is still being investigated, but which currently see's her dribbling urine when she stands up, so she lives as an outside dog. Her coat has been previously shaved as this condition was causing infections. It is now in bad condition as she doesn't like being groomed. We have had Kiba examined by a wonderful vet we work closely with. To be honest, we didn't think she would handle the examination well. She tries to avoid you touching her around the rear, so we muzzled her as a precaution, expecting the worse when manipulation started. But this gorgeous girl was a trooper! She allowed herself to be poked and prodded even though she was uncomfortable and only disagreed when the vet found a really sore point. Her current daily pain level is a 6 out of 8. 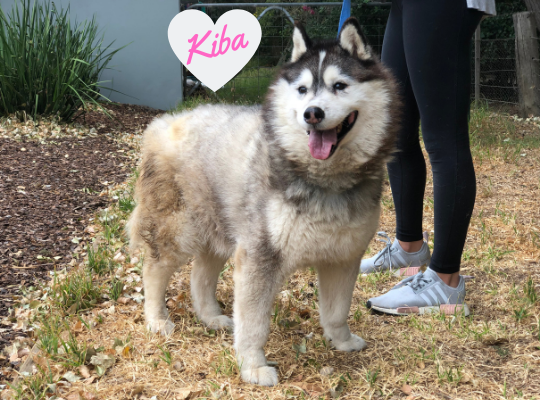 At this stage, Kiba needs further testing done to develop a complete treatment plan, but it's looking like she will need to attend weekly physio sessions initially, practice daily rehab exercises at home and take medication to help tackle her bladder problem and pain. There is every chance that she will need management and medication for the rest of her life. Do you have the space, time and love in your life for this special girl, to help her live out her remaining years in comfort? 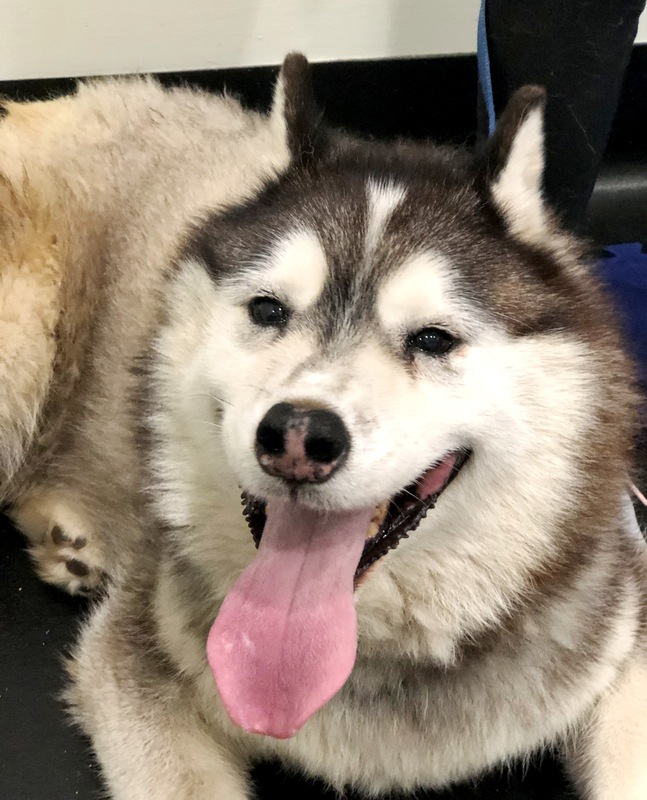 Arctic Rescue Victoria will cover all medical costs for her, but she needs someone she can learn to love and trust to take her to her appointments and practice her physio. She is currently not friendly to other dogs, most likely due to her pain. We would consider a home with another dog, so long as they could be separated. Kiba also doesn't appear to hate cats! While we wouldn't call her friendly towards them, she doesn't seem to want to hunt them down either however precautions would still need to be taken. She wouldn't be suitable for a home with children due to her medical conditions, and she is not available for interstate adoption. To sponsor Kiba please go to our Donate page.